Energy engineering and software are perfect partners in analyzing and managing building and portfolio energy data. Our in-house software team builds custom software solutions for energy project analysis, tracking and management. Energy software reduces project costs, eases reporting burdens and helps identify energy savings. Single platform energy project management reduces administrative burdens for clients and facilitates energy analysis by our staff. 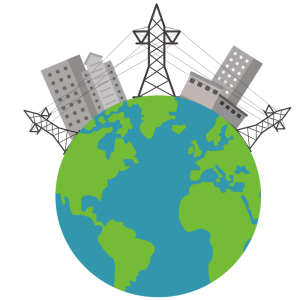 Energy data repositories allow engineers to easy access building and portfolio data in one place, enabling our engineers to track data use and detect anomalies. Our reports inform decision makers and stakeholders of key factors in making sound financial decisions around energy costs. Born from our experience analyzing tens of thousands of energy projects for clients, we developed our web-based energy project tracking system and data analytics platform to streamline energy data management. With both in-house and client access, kW Tracker™ allows engineers to perform complex energy analysis and share our results with customers and stakeholders. Faced with collecting large amounts of building energy data in the field, we developed a custom, HTM5 application to streamline data entry. It runs on tablets and desktops and features offline storage and synchronization to a main server. Dynamic form generation enables user to collect conditional data based on predefined rules. Interoperability of energy data exchange is critical to maximizing energy savings potential. Our Software Development Principal, Devan Johnson P.E., partcipates in emerging standards for energy data exchange. This includes serving as the principal investigator for the Integrated Energy Project (IEP) Model, a set of XML schemas defining a standard format for exchanging energy efficiency and renewable energy project data, funded by the California Solar Initiative (CSI) Research and Deployment (RD&D) program. Devan also participated in both working groups for the 1.0 release of Building Energy Data Exchange Specification (BEDES), a data dictionary of terms, definitions, and field formats created to facilitate the exchange of information on building characteristics and energy use. Working with energy data daily, we always look for ways to make our engineering analysis more efficient. We are happy to offer complimentary tools to assist you on your energy saving journey.